Here’s a super easy project to do with any toddler or preschooler to use as a decoration for Halloween or Thanksgiving. Simply have the kids paint a large brown lunch bag with orange paint. Allow them to paint the top 3-inches of the bag with dark brown paint. Let the kids crumble up a few pieces of newspaper. After the paint on the paper bag is dry, stuff the paper bag with scrunched up newspaper and shape the bottom to make a circle or pumpkin shape. 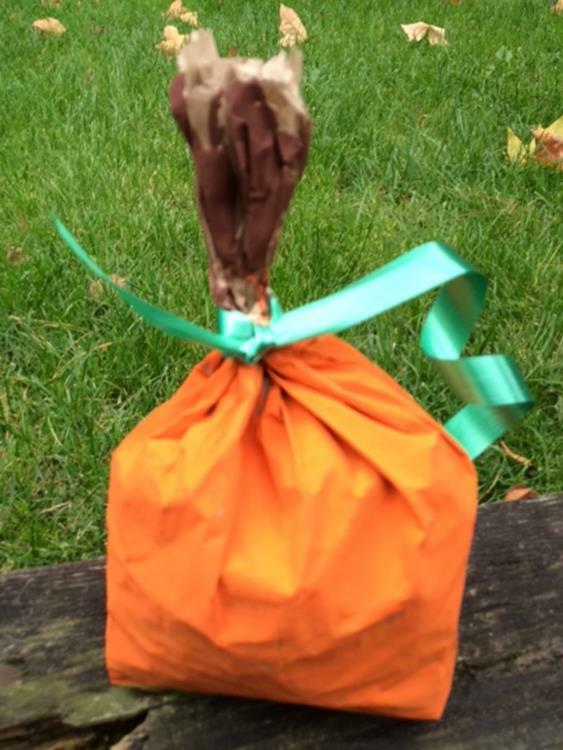 Twist the top of the paper bag to create a stem and use green ribbon to tie it shut.